Ths past week, my parents flew in from California to spend the week with me! It was wonderful to have a piece of home with me for a time. As much as I really like everyone at the program, I really enjoyed the time to catch up with my family and hear more English being spoken. We took some day trips while they were here, first to Colmar in France, then to Basel in Switzerland, both of which are just over the border from Germany. 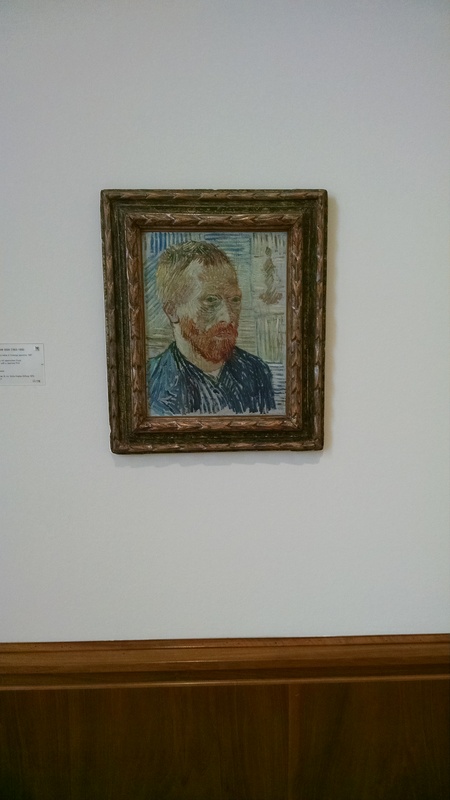 In both places, we went to amazing museums and saw paintings by artist like Monet, Rembrandt, Piscasso, and Van Gogh. 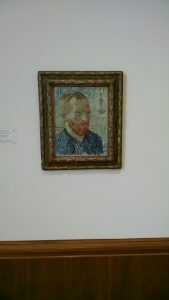 It was amazing to be so close to such masterpieces! Today, Tuesday the 3rd, the program took us to the European Parliament to watch a plenary session on Brexit and the UK’s exit from the EU. It was fascinating. There was no vite that we saw, but the gist of the arguments was that the UK feels the process is taking too long, and almost everyone outside of the UK thinks that’s because the UK government is divided on Brexit. At some points, politicians through shade the the UK representatives, which was very amusing. Unfortunately, my day was made less enjoyable by the fact that I accidently slammed my hand in my apartment door on the way to catch the bus this morning. I’ll spare my readers the details, but I’m mildly disadvantaged right now, as I can’t use my right middle finger. Thus, I’ll leave off here, and come back next week with a much longer update on my adventures in the EU. This entry was posted in Uncategorized on October 3, 2017 by Ella Patch. 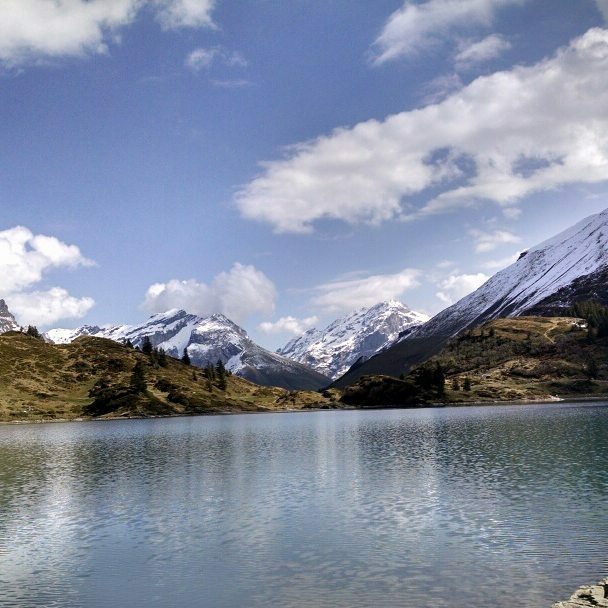 Last week, I shared some of the really cools things I’ve been doing in the IES program. This week has been a lot harder. During orientation for abroad programs, the staff usually talks about culture shock and adjustment periods. They usually describe it as having an initial honeymoon period where everything is new and exciting, followed by a crash. I’m currently having that crash. Classes started on Monday, and while many seem very interesting, I’m struggling to adjust to being in school again, and the shiny-new feeling of being abroad is wearing off. I’m in a sorority at school, and we have recruitment at the beginning of the fall, so now I’m seeing the pictures of all my friends back home. It’s made it actually hit home that I’m around 6000 miles away from almost everyhing I know. I’ve also gotten a cold, and so I’m battling that in a place that is almost entirely foreign to me; I can’t go to a drug store and buy brand name tylenol or cough syrup, nor can I easily call my mom for support and comfort. With my health and energy so low, I’m really feeling the distance. After World War Two, it was decided that the executive branch, ie the president, should not be allowed to make a powergrab like Hitler did before the war. Thus, the constitution created in 1949 ensured that the presidency is mostly a figurehead, kind of like the queen of England. Instead, much of the power is between the Chancellor and the Parliament. There are also balances on the Chancellorship so that a Chancellor could not easily make a powergrab either. The system is also multiparty, with each party putting forth candidates for the Chancellorship, like Martin Schulz, or just representing the party. Accordingly, elections are two fold: citizens vote for both a candidate and a party. Thus, even if their candidate does not win, there is a chance the candidate can get into Parliament for their party. A party needs to have at least 5% of the vote to get seats in Parliament. 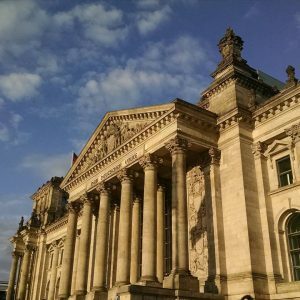 In this week’s election, the political party AFD, controversially known for being strongly against Islam and immigrants, and having counter-progressive views on women’s rights and LGBTQ+ rights, won an astounding 12.6% of the vote, getting seats in the Parliament for the first time every and becoming the third largest party in Germany. This could spell changes for the country, and not necessarily ones that Freiburg will agree with; we’ll see! This entry was posted in Uncategorized on September 25, 2017 by Ella Patch. 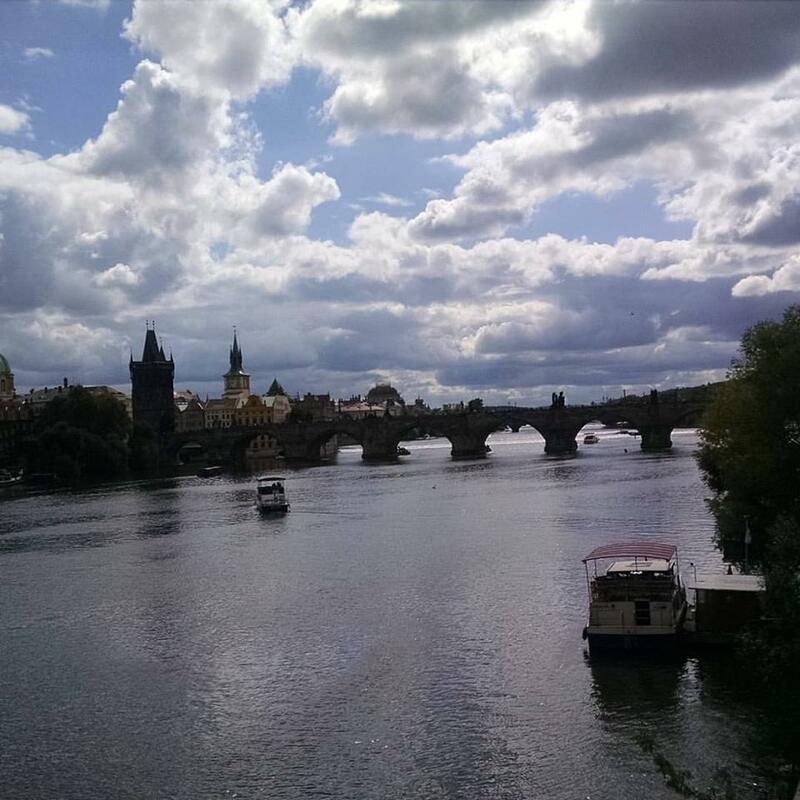 This past week, the program took us to Berlin and Prague for 6 days. Overall, it was an amazing experience. Berlin is so full of history because the Third Reich was based there, and the city was split during the Cold War. Our first night there, we took a tour of the city. 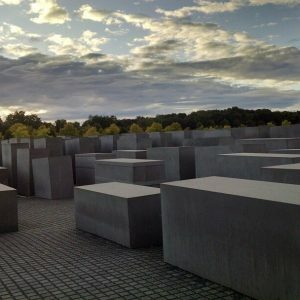 Our guide took us to the Memorial to the Murdered Jews of Europe, which was breathtaking and very thought invoking. The memorial is pictured below. 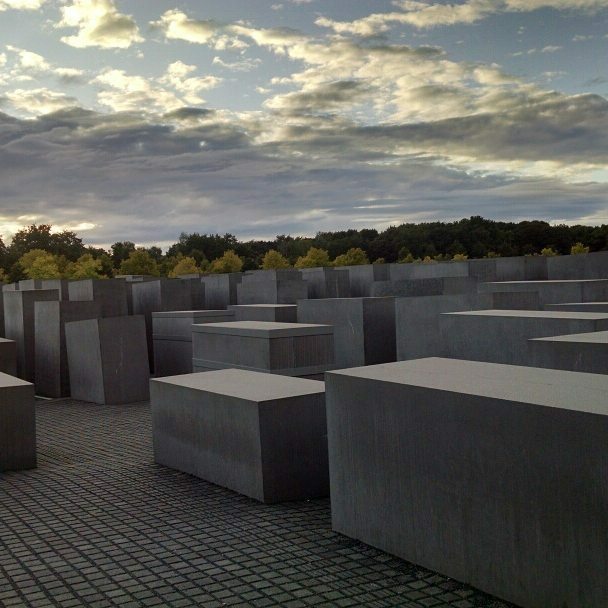 The memorial is just large slabs of stone of varying size, shape, and orientation, without words or anything else. The artist’s explanation for his design was that there was no way to properly denote and remember the victims of the Holocaust, so he wanted his piece to provoke whatever thoughts and interpretations the viewer could come up with themselves. I, for one, think it works. We also got the chance to tour the Stasi prison in Berlin, which has been preserved essentially as it was during the USSR’s control of the Eastern Bloc. The prison is in two main parts; the initial part was a kitchen was that requisitioned and turned into the first prison. It has very poor ventilation, and the cells were often tiny, in order to psychologically torture the prisoner. Being in one of the cells, even with the door opened, with the rest of my group, about 20 of us, made me short of breath; I can’t imagine having to live in one and rarely ever getting enough oxygen. The second part was built to replace the first, and is more like a traditional prison. However, no one prisoners came in contact with called them by name; they were assigned numbers and dehumanized as soon as they were arrested. The interrogaters and guards made non-physical torture an art form, horrific as it is. Also while in Berlin, we met with two men, one a journalist, the other a surviver from the GDR, called Keup. The survivor’s story is the one that has stuck with me best. This man, now a cultural scientist, was born in East Berlin after his father, a Communist, moved his family there. His mother had family still on the other side, and for a few years, she was able to visit her family. Eventually, restrictions came into effect, and her family was only able to come to her. Keup shared that he met his grandparents for the first time when he was seven. In the GDR, citizens didn’t express dissatisfaction for fear of the consequences. When Keup was about to be invited to university, which was a big deal, and something only for people to toed the line of the Communist party, his family, including himself, put forth a request to move back to West Germany to be with their family again. It was denied and Keup had his university invitation revoked. Eventually as a young man, Keup attempted to flee East Berlin. He shared that he didn’t trust anyone in his family except his mother, and thus told only her about his plans. He was caught and spent 10 months in a prison, where he was psycologically abused and tortured. Eventually, he was deported to West Berlin, and only a few years later, the wall fell and his family joined. He later learned, after his brother has died, that his brother had been a Stasi informant, informing on him and his father. Hearing about his experiences, I was amazed to think that there could be any situation where family would be willing to turn on family, but of course I have no real grasp of what is was like to live with your government watching and judging every move you made, the constant threat of being arrested or even disappeared without warning lingering every day. This bit of insight into life in the GDR made me so much more grateful to live in the US, and also has given me a better understanding of the political situation in the EU right now, which I’ll get into in a later post, because that’s a whole ‘nother topic. 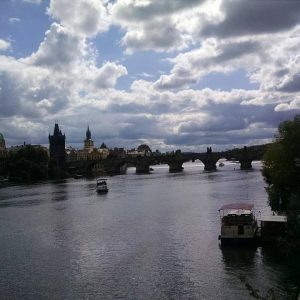 While travelling, I also got to check out some cool museums in both Berlin and Prague, and do a little shopping, taking advantage of the exchange rates. Overall, despite the heavy topics, the trip was a huge success! I’ll be back with more to share soon! This entry was posted in Uncategorized on September 19, 2017 by Ella Patch.